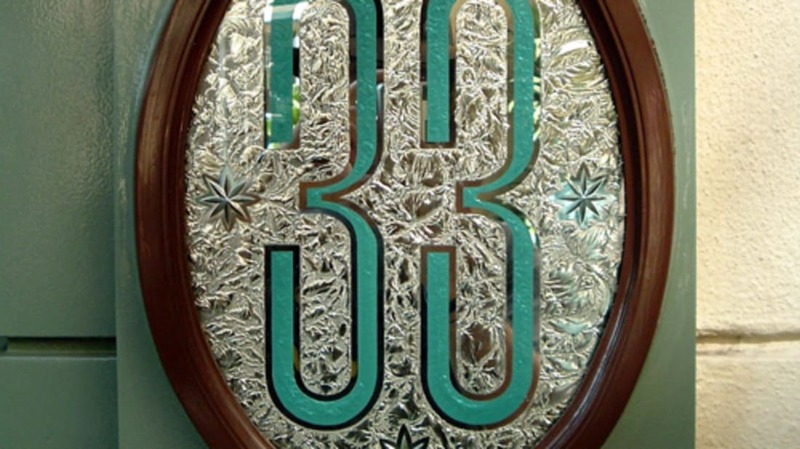 Club 33: it’s one of the most exclusive clubs in the world. Nope, it’s not a password-protected bar in New York. And it’s not an invite-only nightclub in L.A. (though it’s in the vicinity). Nope - you can find the uber-private Club 33 located right next to the Blue Bayou restaurant and Pirates of the Caribbean at Disneyland. Until you get in, here are 10 facts about Walt's VIP room to tide you over. 2. There are amazing collectibles within the walls of Club 33 that some diehards would give a pretty penny to glimpse. I'd love to look at the original Marc Davis sketches of the Haunted Mansion's stretching portraits or some of the concept work for the Pirates of the Caribbean ride, but there's also props used in Mary Poppins and The Happiest Millionaire, among others. 3. Dying for a stiff drink after a hot day in the park with the kiddos? Club 33 is the only place in Disneyland that will satisfy that particular thirst. Alcohol isn't served anywhere else on premises (though the hotels and Downtown Disney certainly do). 4. There's an old-school glass elevator in the club that guests can ride if they so choose; it was relocated there from Walt's personal residence. 5. Not only will you sit for years (at last count, the wait list was about 14 years or so) on the Club 33 waiting list, you'd also better be prepared to write a fat check. Corporate memberships will set a company back $25,000 in initiation fees, then $5,925 annually thereafter. Individual memberships are a bargain at $9,500 in initiation fees and a mere $3,175 annually thereafter. 6. The Trophy Room is a dining area with animatronic wildlife on the walls. At one time, Walt had the room wired with secret microphones at each table so he could listen in from a hidden room and respond to conversations via an animatronic vulture, surprising patrons. Since Walt died before Club 33 opened, the idea was scrapped. The animals remained for quite some time, but they have since been removed. The only vestiges of the idea are Walt's original vulture and the microphones that are still quite visible at the bottom of the lighting fixtures. 7. Don't be surprised if you spot a celeb or two having a quick meal at the exclusive club. Johnny Depp sometimes pops in when he's around, and Elton John has played the antique harpsichord that decorates one of the hallways. 8. In addition to dining privileges, Club 33 members get free park hopper tickets when they dine in the club. They also get six fast passes to jump in the fast lane to ride the attractions, free valet parking, behind the scenes tours, access to special merchandise and, reportedly, the ability to summon any of the park's characters to the club as long as it's done in advance. 9. I hear the ladies' bathroom at Club 33 is probably the finest bathroom you'll ever visit. The toilet? It's an actual throne. Have any of you been inside? Did it live up to the hype?